Baros Maldives has a rich heritage, reflecting the essence of the Maldives. 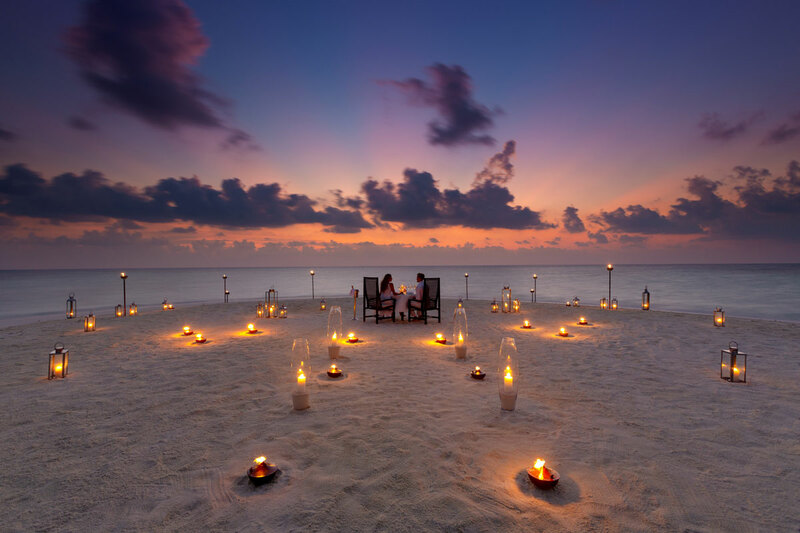 Only the third resort to open in the Maldives (in December 1973), it is still setting the benchmark for a romantic, luxury holiday with genuine, heartfelt Maldivian hospitality. 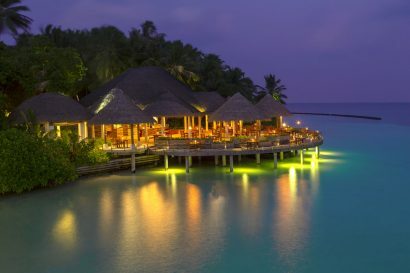 It has a reliable reputation: consistently winning prestigious awards from guests and travel professionals for quality accommodation and outstanding service excellence. certification, valid for diving anywhere in the world. 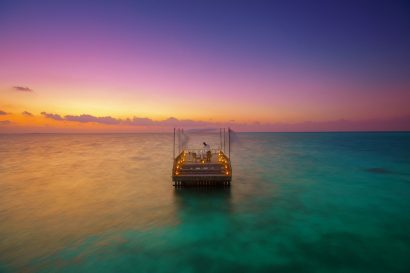 Baros Maldives is also the first EcoDive Centre in the Maldives and offers the internationally recognised Reef Check programme. This is a course enabling guests to learn how to conduct Reef Check Surveys and take an active role in conserving the world’s reefs, with gathered data submitted to Reef Check’s global database. Snorkelling is a rewarding experience as the resort’s lagoon is teeming with fish and the beautiful house reef is a mere 15 metres from the beach, allowing for easy snorkelling. Gaze at the natural underwater paradise. From a leisurely paddle in a glass-bottom canoe, to the excitement of windsurfing, there is something for everyone to enjoy at the Water Sports Centre. A resident Marine Biologist runs the Marine Centre where guests can learn all about the marine world, as well as participate in guided snorkelling excursions on the house reef (for beginners or experienced snorkellers). There is also a programme enabling guests to adopt coral under the Centre’s coral planting project, whereby they receive a photograph of the adopted branch of coral every six months. To preserve the intimate ambience and maintain the equitable balance of Baros Maldives, it is policy that any child staying on the island must be at least eight years old. 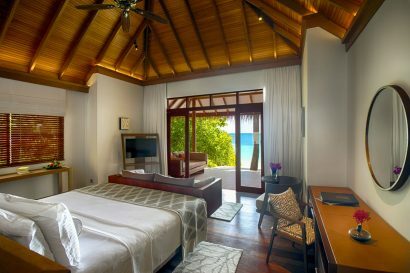 The ever-popular Deluxe Villas are set in flower glades by the beach and feature a king-sized bed in an elegant setting. The large open-air bathroom features a standalone bathtub and a separate waterfall shower in the sandstone-walled flower garden. 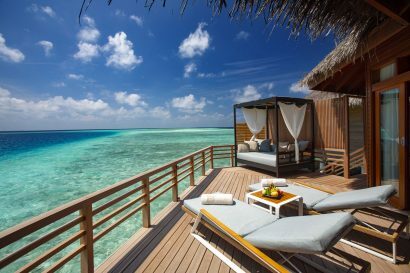 Reached by a wooden jetty, the Water Villas are a short stroll from the northwest tip of the island’s beach. Each is perfectly set up for total escapism, with a wooden deck for sunbathing and steps leading down to the lagoon. The interiors, with a king-sized bed and dressing alcove, have been designed for complete and luxurious privacy. The bathroom, with contemporary bathtub and shower, offers stunning views of the ocean. 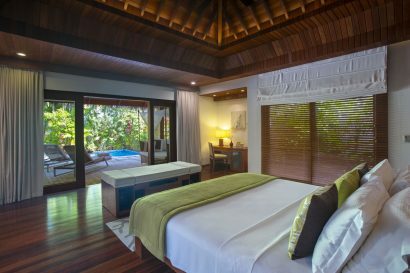 Each of the eight Baros Pool Villas is set in a lush tropical glade by the beach, and features an infinity-edged private plunge pool (4m x 2.4m) with a spacious, wooden sundeck. Natural light floods the interior, with a king-sized bed offering expansive views over the wide veranda to the pool. The bathroom features a designer bathtub and an open-air shower in a walled garden retreat. A dedicated Villa Host is available at any time. Located on a secluded beach shielded by vegetation bordering the lagoon, the Premium Pool Villas have an outdoor, beachside Jacuzzi (1.7m x 1.7m) for two, as well as an infinity-edged plunge pool (3.4m x 2.4m). 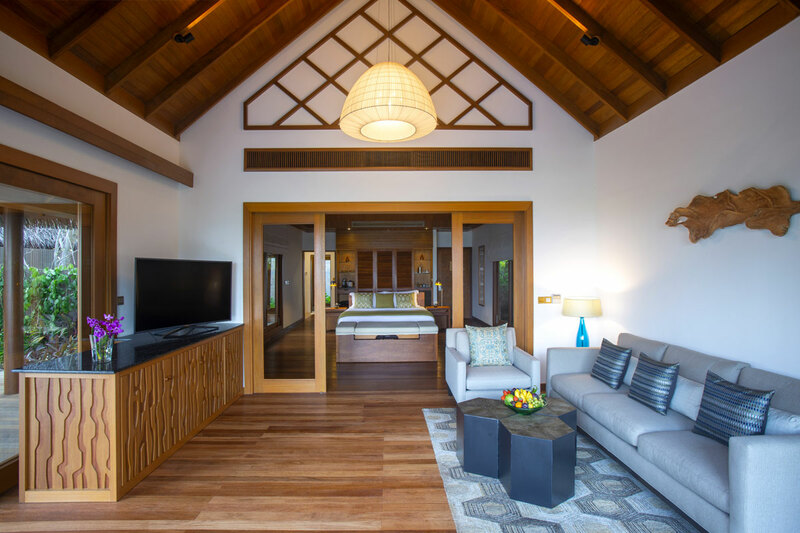 Guests can enjoy the use of dedicated sunloungers under a thatched parasol on their own section of the beach, while the wooden veranda deck is furnished with a daybed for two, teak dining table and chairs, and beanbag comforters. 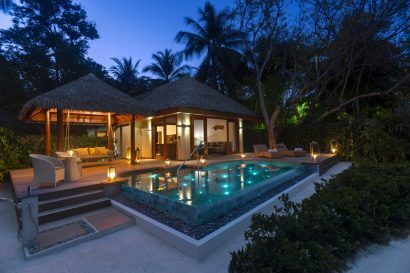 A dedicated Villa Host is on hand 24 hours a day to take care of guests’ needs. 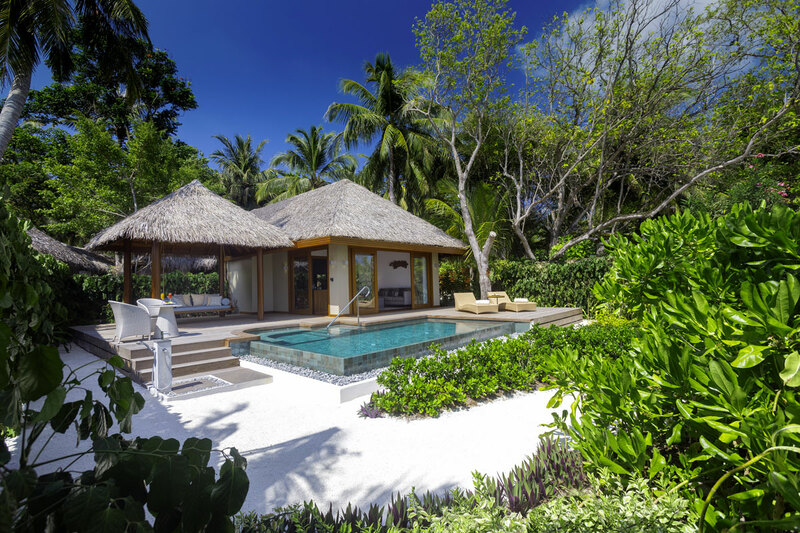 Surrounded by green foliage and bird-of-paradise blossoms, the Baros Residence offers a uniquely intimate retreat. Guests can enjoy access to a private swimming pool (7m x 3m) within the walled tropical garden, while the large veranda with daybed is perfectly set up for blissful relaxation. Inside, there’s a king-sized bed with a beautifully scalloped linen canopy, a luxury indoor shower and bathtub, plus an outdoor rain shower. A dedicated butler is on call 24 hours a day. A restaurant of informal sophistication by the sea, offering the heart and soul of good dining, from buffet breakfasts with sparkling wine, to all-day dining experiences, and an à la carte menu of enticing dishes from around the world. A favourite retreat for a leisurely meal infused with the flavours of the tropics, served al fresco in thatched gazebos above the lagoon. Seafood, fish, meat and vegetarian dishes are presented with sauces of distinction, and a tantalising selection of salads, antipasti and mezze. Teppanyaki table dining and a wood-fired oven are key features. 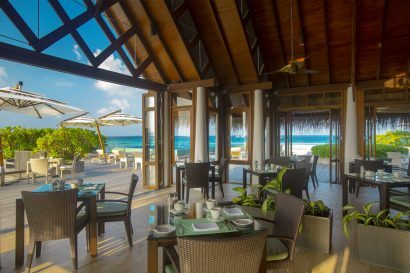 With service to match the superb cuisine and an atmosphere of relaxed refinement, the overwater Lighthouse is the island’s highlight. Offering gourmet cuisine from degustation menus, the Lighthouse Restaurant includes several premium wines and classic creations, enhanced with a touch of culinary genius by the Executive Chef. 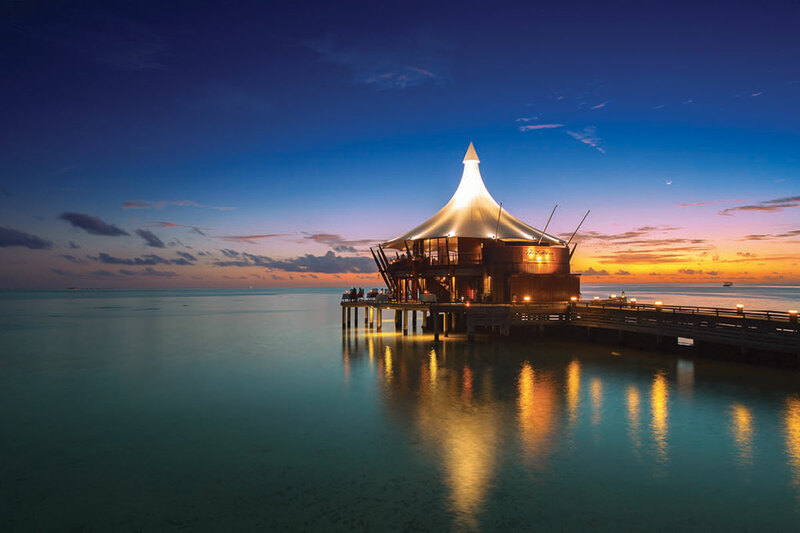 The centre of conviviality: the Sails Bar is set in a contemporary wooden cabana in a garden of venerable palms close to the lagoon, with daybeds and hammocks for relaxing in while enjoying a drink. 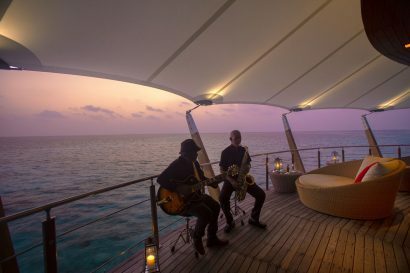 In the evening, recorded mellow music or local bands softly accompany the enjoyment of amazing cocktails, fine spirits and liqueurs, served by experienced bartenders. •In addition to this there are activities changing daily including excursions, glassbottom boat tours, fishing etc.